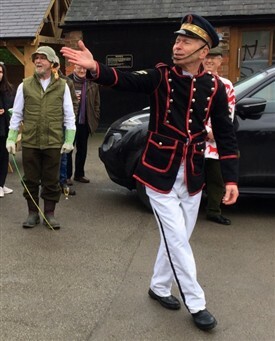 Sullivan's Sword will be performing with fellow dance sides in Southwell on Plough Sunday 7th January 2018 Dancing from 12.30 to 2.30 at The Hearty Goodfellow and The Rodney, followed by a performance of The Farnsfield Plough Play and more dancing and music at The Final Whistle from 2.30. We will be joined by Lord Conyers Morrismen, Ripley Green Garters, Mortimer's Morris, The Maids of Clifton and more. Sullivan's Sword is a mixed longsword dance side, which performs at festivals and events throughout the year. 12.30 to 2.30 at The Hearty Goodfellow; 2.30 to 4pm at The Final Whistle. This page was added by Website Administrator on 18/12/2017.